InterCheck now offers a number of different partnership possibilities to make our leading workforce background check platform more accessible to businesses, government and the wider community. PageUp is an award-winning, global talent management Software-as-a-service provider. Delivered via the cloud, the PageUp solution helps organisations deliver on their corporate goals by attracting, retaining and engaging a high performing workforce through one single mobile-enabled platform. PeopleStreme is a Human Capital Management software company, specialising in the development of technology to support Human Resources initiatives and improve the working lives of employees. Supporting businesses and their workforce with unique innovations, global best practices and professional guidance are at the core of the PeopleStreme team. Their employee-first approach helps unlock the full potential of their customer's employees and in turn, drives business productivity and profitability. Do you love InterCheck's products? Could InterCheck make your own customers' lives better? Connect us to an organisation that wants to make their compliance checking as simple as possible. Sales & Marketing support provided. Market and sell InterCheck’s products to your own customers. You get to be affiliated with the InterCheck Brand. Our API technology makes it easy for you to deeply integrate background checks into your own HR services, adding more value to your customers. Latest restful API for quick deployment. InterCheck has partnered with and collaborates with a number of industry specialists, professional associations and various government agencies to ensure we continue to provide compliant, secure and industry-leading employment screening products to the Australian community and the Workforce sectors. InterCheck Australia is accredited, under Contract, to access the National Police Checking Service (NPCS) through the Australian Criminal Intelligence Commission. acic.gov.au. InterCheck has been accepted by the department to provide Police Check clearances for licencing purposes, including Commissioner for Consumer Protection; Director of Energy Safety;WorkSafe Western Australia Commissioner; Electrical Licensing Board; Plumbers Licensing Board; and Building Services Board. InterCheck is a proud member of the National Association of Professional Background Screeners – APAC. The NAPBS membership provides InterCheck with the tools and connections to advance excellence in the screening profession throughout the Asia pacific region and across the globe. 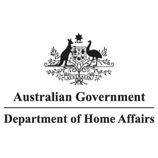 Department of home affairs have a diverse portfolio covering migration, humanitarian and citizenship policy. They assist with better border management and facilitating travellers entering Australia including management of all Visa requirements. InterCheck takes online safety and security seriously. As such we have partnered with Stay Smart Online to help support our commitment to securing our customers and our own digital information. Through partnering with the Duke of Edinburgh’s awards InterCheck supports providing opportunities to young Australians entering the workplace with the right skills and experience cultivated through participation in the award. Get in touch to discover how InterCheck can fit in with your own platform.